This was taken during our trip to Buffalo City, I must say, I love the sky during that time, and I'll be able to share more of the different angle that I took during the said trip on the road. So I love that sky because if you noticed that, there's partially orange and blue mixed in it. 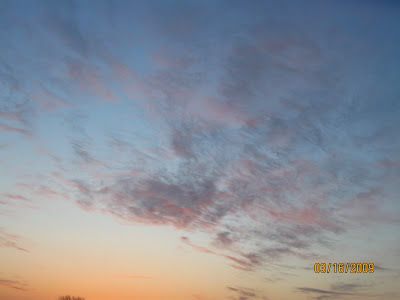 Hope you like it, if you want to check out more different skies, here SKYWATCH FRIDAY! Excellent skywatch shots, the last one is my favourite. A beautiful sunrise, for sure! Wonderful way to start the day!! I love your templates, its pretty and pink. Very cute. Your SWF shots are beautiful. Very pretty- my favorite time as well! ooooh lovely colors of the sky. your template is yummy too. I always fall for the silhouette branches and the colours are beautiful. 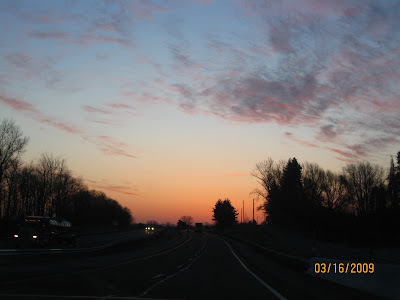 Very nice shots of a beautiful sunrise. I especially like the last one. Oh very pretty - Love the colors you've captured here! Really nice! 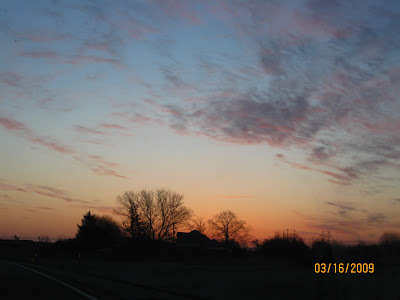 A pretty sunrise..the best time of the day! A new begginning! A very pretty, gentle dawn. Like the silhouettes in the first shot a lot! A nice start to the day. Such gorgeous colours! Wonderful photos! Looks to be a beautiful day. Very nice photos! Pretty skies - what a great way to start any day! Beautiful sunrise you have there!